In the fast-paced business environment and stressed workplaces, company outings and team buildings are all worth the investment. It is important to be generous to your employees and let them take a break once in a while. Help them become more productive and creative by giving them a chance to immerse themselves in an experience that is wholly rewarding. Our El Nido Corporate Travel and Company Outing Package offers a complete experience that lets your employees recharge and take a break from the high-stress environment and urban living for a few days. Our custom itinerary includes tried and tested ways to help them reconnect with nature and improve overall happiness and mental performance. Corporate employees are required to chase strict deadlines and accomplish stacks of regular duties every day. And to perform at their optimal levels of productivity, their brains need sufficient time to recover. It is important to give them some time out of the office to breathe and have fun. A positive company truly understands their employees’ physical and mental well-being. It is essential to invest in opportunities for social bonding and engagement. Regular company outings and team buildings will result in a highly-engaged workforce that will contribute to the company’s overall growth. What Makes Our El Nido Corporate Travel and Company Outing Package Unique? What makes us different is that we greatly take into consideration the specific needs of our clients. Our corporate travel and company outing package in El Nido includes a range of customizable activities and itineraries. Tailor-made tours offer you the flexibility to design the itinerary based on your company’s requirements, time, and budget. We are here to take the hassle out of the travel planning and give you plenty of options for activities that will help in social bonding, leadership training, team cohesion, and relationship building. From hotel accommodation to cocktail functions, we are always flexible to your needs and make your corporate team outing in El Nido memorable. Pack in as many activities and locations as you like, or incorporate some relaxation and free time to let your employees explore El Nido on their own terms. It can be overwhelming with all that choice, and this is why we have a tight-knit team of local experts to give advice and assist you in crafting that ideal company outing and team building. Nowadays, the high demands of workplaces result in bored, stressed out or burned out employees. And this is why most Human Resource Managers focus on wellness programs, mindfulness activities, and team buildings. Spending time in nature is incredibly beneficial, physically and mentally. Our El Nido corporate travel and company outing package gives your employees that much-needed digital detox and unplug time. We are a team of local experts based in El Nido, our home. El Nido is the main destination for exploring the iconic spots around the Bacuit Archipelago. We offer boat trips to the uninhabited islands, enchanting lagoons, and pristine beaches. 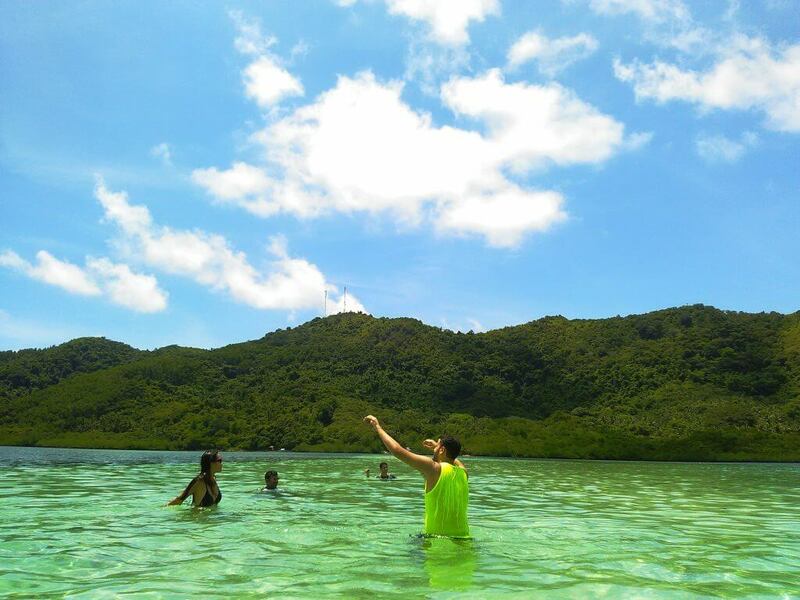 Our El Nido tours and boat charters offer your team a chance to reconnect with nature and appreciate the simple pleasures in life. Imagine traveling to a beautiful and sunny destination, eating delicious meals, taking boat tours, sleeping in a luxurious room, relaxing on the beach with your colleagues… and never pulling your wallet out once! The good news is that our all-inclusive company outing package lets you enjoy the most stress-free vacation in El Nido. It’s an ultimate convenience your team deserves! We include almost everything so you can focus on the actual trip. The inclusions are highly customizable depending on your company’s precise needs. You can be assured that you will get more out of your trip. The experience that we craft as local experts will always deliver par your expectations. Finding sustainable tour operators and accommodations for your corporate travel and company outing can be quite challenging. They are usually commercial ventures which can easily exploit ecosystems and local communities. Your team should be able to enjoy the tours and have fun but not at the expense of sustainability. We are a small local business in El Nido that strongly advocates for sustainable tourism. Our tours aim to reduce environmental impact and support the livelihood of locals. We do not operate daily tours that cater to the big volume of tourists. The unique experiences that we expertly design will impart our sustainable ecotourism principles to your company and employees. Our custom itinerary for your corporate outing can include any of our sustainable ecotourism initiatives. Let us know if your company would like to partner with us in helping the local communities or sponsor nature preservation and social projects. Our local experts take client service seriously. The journey starts the moment you send us an email. We will collaborate with you in designing an ideal trip and work with you from start to finish. We respond to inquiries fast, whether through email, or WhatsApp and social media channels. At Palawan Alternative, we don’t just meet your expectations, we exceed them. We strive to better ourselves in order to provide exceptional client service. Our top priority is You. Our Palawan itinerary specialist will be happy to customize your corporate outing according to the needs of your employees. How to Choose a Sustainable Palawan Tour Operator?